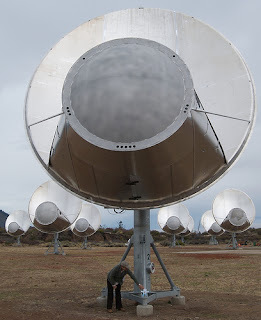 Formerly known as the One Hectare Telescope (1hT), was a joint effort by the SETI Institute and the Radio Astronomy Laboratory at the University of California, Berkeley to construct a radio interferometer that is dedicated to astronomical observations and a simultaneous search for extraterrestrial intelligence. 1.290 miles northeast of San Francisco, California. 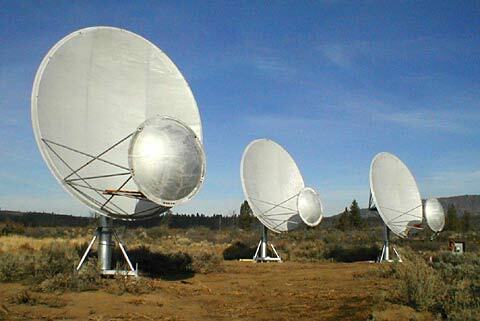 2.It consist of 350 antennas. 3.A wide range radio telescopes built to date. 4.Its frequency coverage from 0.5 to 11.2 GHz. 1.Measure the magnetic fields in the Milky Way. 2.Detect the gravitational wave background from massive black holes. 3.To determine the metallicity gradient of the Milky Way.